The storybook characters take on a life of their own as they emerge from the paint on the canvas. 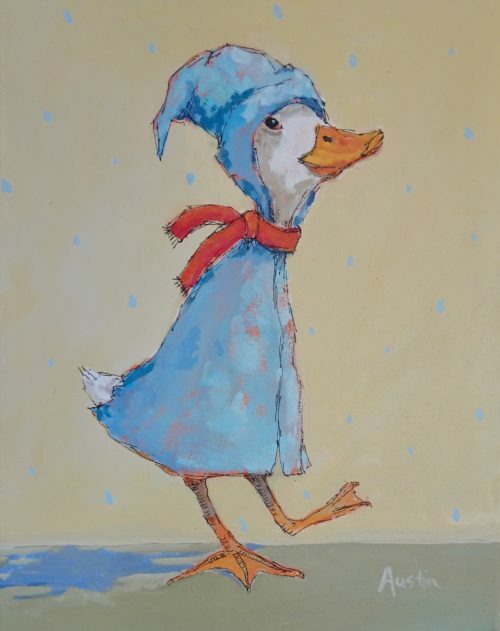 This storybook duck on his way in his cloak. I am not sure where he is going, but by the glint in his eye, I am sure he has it figured out! In any event, so fun to paint! !